Paolo Cuomo continues to drive the growth of Charles Taylor Managing Agency as chief operating officer of this Lloyd’s of London business. In parallel he has co-founded #InsTech London, a group focused on creating an ecosystem for innovative, tech-driven insurance ideas. If there’s anyone in the FinTech or investment space interested in tech growth in insurance, please do get in touch when you’re next in London, or via electronic means. Karen Lee joined Crowe-Innes & Associates, a boutique executive search firm in the San Francisco Bay Area. The firm has 18-plus years of experience in marketing, finance, communications, and HR in a wide array of industries nationally, including Wal-Mart, Nike, eBay, etc. She is also writing fiction and thinks there is a screenplay to be set in b-school. 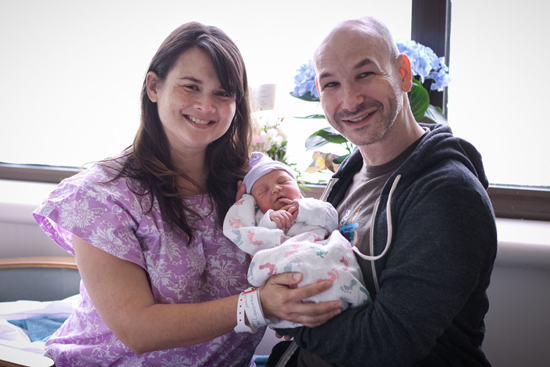 Barry Grant and Kathy Grant were thrilled to welcome Amelie Thi Grant to the world on April 30, 2015. Though somewhat disappointed that she’s not already an astronaut, the otherwise proud parents are doing great and could not be more excited to have a healthy and *very* happy little girl. In other news, Barry has been working as vice president of product at Ticketfly since November 2014, and continues loving life in his weird hometown of San Francisco.